Welcome to this week’s episode Yet Another Tech Show. Featuring super producer Mat Lee, Mike Rothman, Larry Press and myself Ant Pruitt. We’re joined by Attack of the Androids’ Nick Carroll and Spiked Studio’s Chris Miller. This is your weekly technology podcast where we strive to bring you informative, yet entertaining tech discussions. Thank you for checking us out and subscribing. Now go ahead and click that download button above and follow along with the show notes of the week. Welcome. It’s episode 95 of #YATS. It’s Yet Another Tech Show with Mat Lee, Larry Press and myself Ant Pruitt. We have a guest host on this week. Our buddy Nick Carroll from the Attack of the Androids podcast. 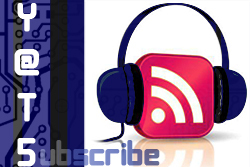 This is tech podcast where we look at the hot stories of the week with our own informative and entertaining twist. After you click the download button up top, follow the show notes to give you a literal highlight of our discussion points. Welcome to this week’s YATS! Also known as Yet Another Tech Show. 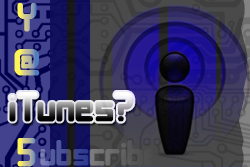 This is your tech podcast with tech evangelist striving to bring you informative yet entertaining tech discussions. This week Mat Lee, Larry Press and myself (Ant Pruitt) are joined by Richard Hay of Google. Be sure to click on our names to see our social connections and follow us there. As you click the download button above, follow along with the show notes below.